Two hundred years have passed since the lands of the Outerworld humans were destroyed, save but a handful of rebellious cities. In their ruin, the last gods of Earth, the Illyrians, rose victorious. And ever since, it’s with a cruel iron fist they’ve ruled over their subjects–desperate to keep their thrones. Fast approaching his teens, Ionikus Reaves knows the gods’ malevolence all too well, orphaned by them after their call for a military draft on Eldanar, his home island. But when a power once dormant in Ion boils to the surface, he’s whisked off to a hidden world of the island, where he comes face-to-face with the mighty Illyrians. For Ion is a Guardian–a reincarnated god bound to serve and protect the pantheon he’s so quickly learned to hate. Now torn between his obligations as a Guardian and his hatred of the gods he’s to guard, Ion finds himself in the middle of a war within himself. A war that could uncover a dark secret of the gods’…and split the pantheon in two. I’ve been writing since I was a kid–it being my only means to escape the real world around me, which wasn’t so warm and welcoming. Over the years, I developed a series of characters that I basically grew up with, and although their names have changed since I was a kid, I haven’t stopped writing about them. This story…is their story. My characters are largely based off the many people I’ve met over the years just all mushed together. 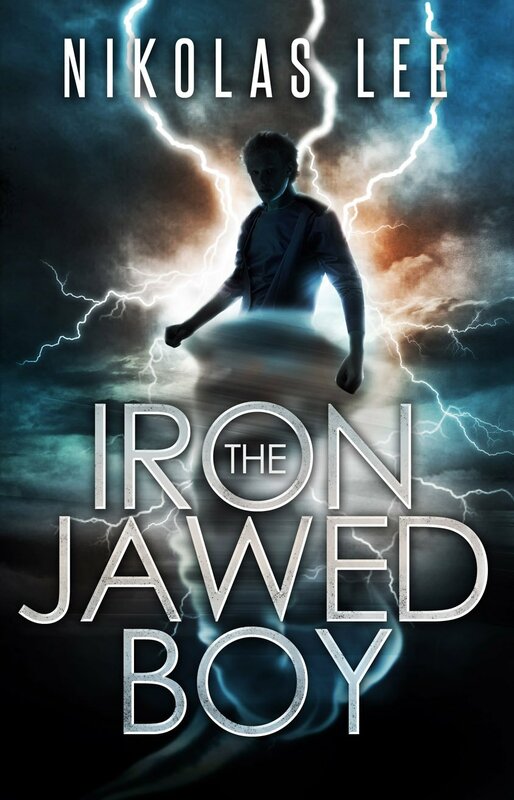 I can see glimpses of all the strong females I’ve encountered in each female character in this book, making The Iron-Jawed Boy a great story for anyone on the lookout for strong girl characters. Ion could only hear the thunderous noise of a million beating insect wings. A swarm of hissing locusts blasted through the opened windows above, pouring in like an unstoppable river, eclipsing the light of the sun and covering all the available exits. “Locusts?” Ion asked in disbelief. The insects darted to the nearest walls, blanketing them like sheets of winter’s ice. A small tornado of them swept down to the center of the courthouse, swinging about as the hissing came to a crescendo. The hard exoskeletons of the locusts whirling about shifted into human skin, molding into a pair of long, pale legs, then a waistline, stomach, chest, and a dress colored a bright white. Arms covered in silver bracelets came next, and a pair of green eyes flashed open, sitting beneath the subtle brow of a girl who looked no older than twelve. Nikolas Lee was born in Evansville, Indiana, moved with his family to Las Vegas, Nevada, when he was eleven, moved back to Indiana when he was fourteen, then moved back to Las Vegas when he was sixteen. No, neither he, nor his family are under the witness protection program. Though that would be much cooler than the real reason. He published his first book, The Iron-Jawed Boy, at twenty-two, won an Honorary Mention from the London Book Festival for it, and now, one year and one book later, he’s currently hard at work on the third installment in the Sky Guardian Chronicles: The Iron-Jawed Boy and the Siege of Sol.